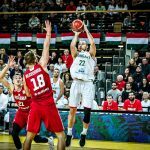 The FIBA Europe Cup got underway on Wednesday night and s.Oliver Wuerzburg and Banco di Sardegna Sassari managed to claim upset victories over their respective opponents in Game 1 to swing the homecourt advantage in their favor. This was an exciting game with more than its fair share of back-and-forth lead changes as both teams proved to be quite evenly matched. 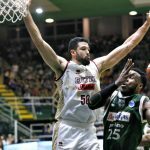 Things would change in the fourth quarter, however, as Sassari turned things around for a dominant performance to outscore Holon 17-26 to emerge victorious in the end. 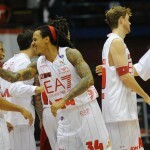 Rashawn Thomas came through for Sassari, dropping 21 points, three 3-pointers, seven rebounds and four assists. Achille Polonara chipped in 17 points of his own. 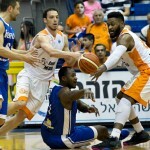 Their team effort overcame a game-high 26 points from Holon’s Corey Walden. 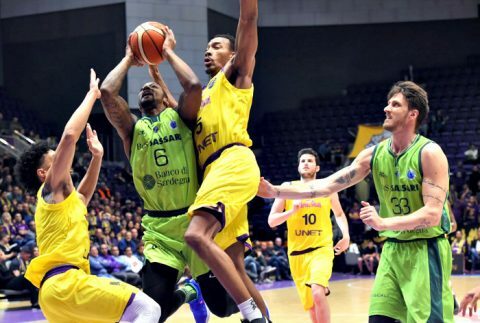 Unet Holon will have to reassess and study what went wrong during their late-game implosion as they head to Italy for the next game for a do-or-die game. This game was all about Wuerzburg being in control of the game from start to finish. They outgunned their hosts thanks to some unselfish basketball with their 22-14 advantage in the assists category. They also made 13-of-31 3-point shots compared Varese’s 9-for-32 outing from long range. Jordan Hulls and Cameron Wells led the way for Wuerzburg with 19 and 18 points, respectively. 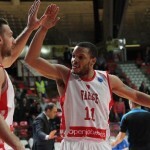 Varese will need to come up big if they want a shot at advancing to the FIBA Europe Cup finals.